Some people go through the experience of having an alcoholic or addicted parent before or even during childhood. While others watch their parents develop drug or alcohol dependence as they get older. Numberless people who are fighting alcoholism and drug addiction are parents. Addiction has the power to consume and take complete control of anyone’s life – this doesn’t make them a bad person. 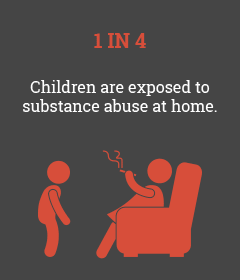 The National Association for Children of Addiction – NACoA reports indicate about 1 out of 4 children live in a household with a parent addicted to alcohol or drugs. To have a parent who abuses substances is difficult, whether you are a child or an adult. Most importantly, if you’re struggling with a parent’s alcoholism or addiction, take time to truly understand the disorder your parents’ living with. Educating yourself on addiction will give you the opportunity to help your parent find freedom from addiction. Similarly, it’ll help you gain personal recovery from the pain you’ve experienced. Have you attempted to talk to your parent about their substance abuse before? If not, that’s where you’ll need to start. Although alcoholism and drug addiction are identical in almost every respect, there are a few differences. Above all, there is much benefit in knowledge when trying to understand what your parent is going through and how to help. First, not all children living within a substance-abusing household experience neglect or abuse. However, parental drug and alcohol abuse puts a child at risk for maltreatment and entering into the child welfare system. For instance, the U.S. Administration for Children and Families reports over 269,500 children entered into foster care in 2015. In 2018, the National Center on Substance Abuse and Child Welfare, NCSACW estimates that 8,700,000 children have parents who need treatment for a substance use disorder. There are millions of children living in chaos every day with alcohol or drug-addict parents. The U.S. Surgeon General report emphasizes that nearly 90% of those who need treatment services for a substance use disorder don’t receive them. If you’re dealing with an alcoholic or addicted parent, whether living with them or not, you’re probably fed-up and exhausted. One can assume, that you’re familiar with the excessive risk-taking behaviors and high emotional instability. If this is resonating with you, you’re not at fault for being tired and you shouldn’t feel guilty about it either. You’ve tried everything to help your parent see his or her problem, yet nothing seems to make a difference. When does enough become enough? At what point do I get professional help? Should I cut-ties or walk away? All of these questions may go through your head at some point – don’t fret, it’s normal. First, you need to realize that your parents’ drug or alcohol addiction isn’t your fault. There are many reasons behind a person developing an alcohol use disorder or substance use disorder. Addiction is a complex psychological disorder that’s not caused by one or even two factors – it’s a result of multiple. If you’re here seeking guidance and support on what to do about it – how to help your parent or how to help yourself deal with the problem, our aim is to provide such assistance. Helping a parent with alcoholism or drug addiction can sometimes feel useless or like a dead end. As per the U.S. National Library of Medicine, over 18 million American adults live with an alcohol use disorder (AUD). The National Institute on Alcohol Abuse and Alcoholism –NIAAA -Drinking Levels are 4 drinks for women and 5 drinks for men. Overall, alcohol is the most common substance abused and prevalent in the U.S. Although drinking is legal when a person turns 21 years of age, a great number of Americans try alcohol at least once before reaching the legal age. Fortunately, for many adults, moderate consumption of alcohol is often non-harmful. In the view of NIAAA, binge drinking as a form of consumption that raises blood alcohol concentration – BAC levels to 0.08 g/dL. This is equivalent to a number of drinks within a two-hour period. Abuse of alcohol isn’t directly connected to physical dependence, however, there is still a problem. Drinking heavy and consistent amounts of alcohol can result in having issues at work, school or home. Being under the influence of alcohol is closely correlated to risky behaviors and for some can lead to social as well as legal problems. Dependence on alcohol may manifest itself in both a physical and psychological form. Psychological alcohol dependence is also known as alcoholism, alcohol addiction, and alcohol use disorder. Physical dependence on alcohol is significantly different than being psychologically dependent. Being physically dependent occurs when an individual drinks consistently over an extended period of time. Consequently, the dependent individual needs alcohol to function normally throughout the day. Alongside alcohol dependence is tolerance. Alcohol tolerance increases more and more over time. When a person develops a tolerance, there’s a need for high quantities of alcohol in order to achieve intoxication or even just physical wellness. The higher a person’s tolerance, the more difficult it is to get through physical symptoms of withdrawal. 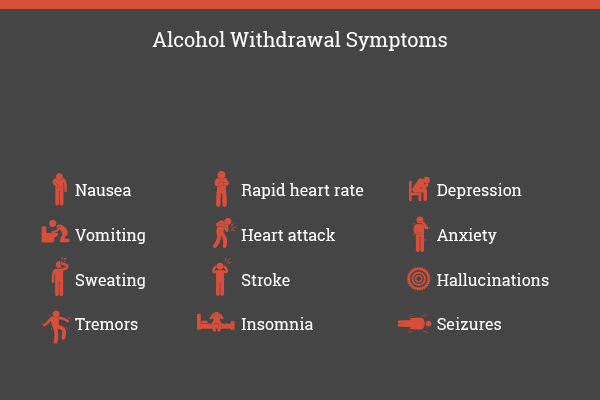 In many cases, alcohol withdrawal requires a form of medically-assisted detoxification. Detoxing from alcohol is potentially fatal, depending on the length of time and the consumption amount of persons drinking. Aside from the obvious cause for alcoholism – alcohol abuse, there are other factors that come into play. A few factors that contribute to developing alcoholism are: genetics, environment, psychological state, and social surroundings. 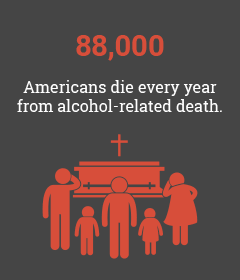 In accordance with the NIAAA, alcohol is the 3rd leading preventable cause of death in the U.S.
To receive treatment for alcoholism begins by ending a person’s physical dependence on the substance. Physical dependence is overcome by detoxification. As stated before- depending on the state of the body’s physical need for alcohol will determine whether the need for medical assistance is there or not. However, it is often better to be safer than sorry – Because yes alcohol withdrawal is fatal. Many cases require medication-assistance during the stages of detox. Similarly, for recovery maintenance, some choose to utilize naltrexone, a medication prescribed for the treatment of alcohol dependence. After the period of detox, a loved one – in this case, your parent will go through therapies that incorporates both behavior and cognition. Cognitive therapies are beneficial for people who struggle with alcoholism, to help them find and create a new, more effective way of dealing with both internal and external life stressors. There is no distinct factor that can foresee a person becoming addicted to drugs or not. Nonetheless, there are influencing factors that should be considered, such as social environment, biology, and adverse experiences during a person’s developmental stages of life. Genetics combined with influences in an environment are said to account for 50 percent of a person’s vulnerability to addiction. Other biological risk factors include: mental health disorders, gender and ethnicity. Environmental influences for addiction include relationships, quality of living and socioeconomic status. Specific key factors: stress, parenting style, sexual or physical abuse and peer pressure. Genetics and environment play a crucial part in one’s stages of development. Instability in developmental stages of life, create a risk and vulnerability to addiction later. Although the earlier in life a person uses drugs creates a greater risk, drug use leading to addiction can happen to anyone – at any age. Today, in the U.S. one of the most common problems in society is opioid addiction and drug dependence. 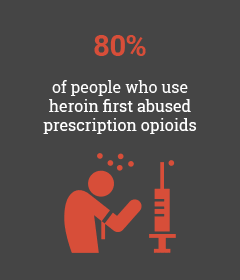 While some people may randomly decide to try heroin, most individuals with opioid addiction start off with the use of prescription painkillers. There are a number of reasons a person might be taking prescription painkillers. However, despite the reasons for use of prescription opioids, in the beginning, there is a high-risk rate of dependence and addiction. Information published by the U.S. Department of Health and Human Services – HHS, shows an average of 130 Americans died every day from an opioid overdose in 2017. SAMHSA’s National Survey on Drug Use and Health (NSDUH), approximately 948,000 people reported the use of heroin in 2016. While some people take benzodiazepines because of a doctor’s prescription, these CNS depressant drugs are still sold on the streets. As a result, benzodiazepines are used non-medically by people who aren’t prescribed. An intervention typically involves a step by step process. The process will vary depending on the family of the addict and the severity of the parent’s addiction. First learning about your parent’s addiction centered behaviors is the foundation of developing a plan for the intervention. During the planning, educating family members on the basics of addiction will lead to confronting your parent. With interventions, confronting an addicts problem involves pointing out causes for concern and the impact it is having on everyone in the family. However, this is not always the case. Interventions are successful when planned and carried out in a well-structured strategic way. If your parent is willing to admit to having a problem with the use of drugs or alcohol, he or she may also be willing to accept treatment. For some families, having a professional who specializes in interventions will be the most effective route. Part of the intervention process is planning ahead, in the case your parent accepts the help offered and agrees to treatment. In such a situation it is necessary to know where your mom or dad will go to receive the best treatment for them. 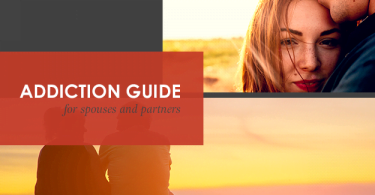 Treatment programs for addiction and alcoholism are individualized in order to provide adequate services designed to meet the unique needs of a person. What if the intervention doesn’t work? If an intervention doesn’t get your mother or father into treatment for addiction, you’ll need to find healthy ways to cope. Developing coping skills works well when trying to deal with the pain of a parents substance abuse and addiction. Many children experience guilt and shame in relation to a parent’s addiction. Parent-child relationships are of the utmost importance in an individual’s life. Unhealthy parent-child relationships are found to have an impact on the development of a person’s daily functioning. 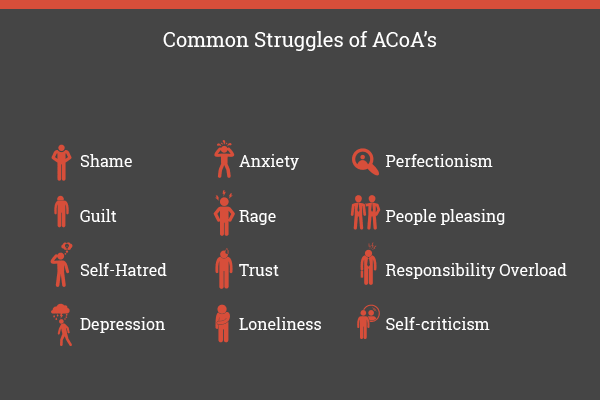 Typically affecting personal characteristics as well as the perception of oneself and the others around them. The influence of a child’s relationship with his or her parents is crucial in the younger years of that person’s life. However, the influence still has significant even into the persons adulthood. For this reason, many children have to walk away from their addicted parents to live normal and healthy lives. What if my parent goes to rehab? If your parent agrees to get treatment or decides to go to drug or alcohol rehab, you may feel a huge relief. However, it is important to keep your expectations minimal and as realistic as possible. In the event your parent(s) gain recovery from addiction, there will be life-altering changes within the family system. When roles in the family change, it often brings about challenges and feelings of a complex nature. Many rehabilitation centers will offer family therapy or provide sessions with no problem when requested. Therapy can help people within a family to communicate feelings, wants and needs to one another – making the transition less shocking. Another aspect to consider, about your parents’ recovery from alcoholism or addiction is the possibility of relapse. When a parent gets help, rehab doesn’t cure him or her of addiction. After all, addiction is a chronic psychological disorder that requires a life-long commitment and maintenance for recovery. Regardless of age, children suffer greatly when a parent is dependent on or addicted to drugs or alcohol. Even if a parent is physically present with you through your childhood, it is likely that you experienced not only psychological absence as well as emotional neglect as a result. Many children with addicted parents have thoughts pondering if their behavior contributed to the drug or alcohol abuse. However, valid given the nature of the situation, this type of thinking is unhealthy and incorrect. Children impacted by the disease are never the reason for a parent’s addiction. It’s not unusual for children of addicts to experience neglect or abuse, whether by a parent or someone else who was around. In drug addiction and alcoholism afflicted families, children undergo extreme stress – feeling unsafe, uncertain and abandoned. According to the department on Child Welfare, the impact of parental substance abuse on children is significant. The means in which a parent living with a substance use disorder interacts with and behaves around his or her child or children creates an array of complex problems with the young one’s development. Although the impact may not be recognizable by the addicted parent – effects of substance abuse on children in the home can occur in a direct and an indirect fashion. Parental substance use in general causes several implications in prenatal development, early childhood development and parenting styles. When a child’s most crucial developmental years are spent with an alcoholic or drug abusing parent, it can take a toll on his or her overall well-being. When babies don’t experience consistent nurturing and the care of a loving parent, he or she will, in turn, often struggle with attachment and relationships for a lifetime. Parents who are engaged in the use of substances is known to interfere with the emotional development of a growing child. If neglect, maltreatment or foster care becomes an experience in a child’s life, he or she might similarly turn to drugs and alcohol as a means to cope. Moreover, childhood trauma is linked to effects including difficulty with control of both emotional and physical stress responses, learning and concentration and forming trust-based relationships. According to HHS and SAMHSA – its estimated that in the U.S. 76 million adults were children of alcoholics in 2007. The nature of alcoholic and drug-addicted households increases the risk of children developing an issue with addiction later in life. Yes, a substantial number of children of addicts and alcoholics do experience issues entering into adulthood. National Council on Alcoholism and Drug Dependency, NCADD reports that over 78 million people in the U.S. have been exposed to family alcoholism. On the flip side – there are many who don’t and grow up to be successful members of society. Growing up in an alcohol or drug addicted home doesn’t always mean a child will develop an addiction. However, the level of vulnerability associated with such circumstances is high. Healing from childhood experiences is the number one step most children who grow up with addicted parents should take. Taking care of oneself means seeking involvement with outside support groups, individual therapy and ultimately practicing self-love. Teens and adults with addicted parents benefit from greatly from self-knowledge and insight. 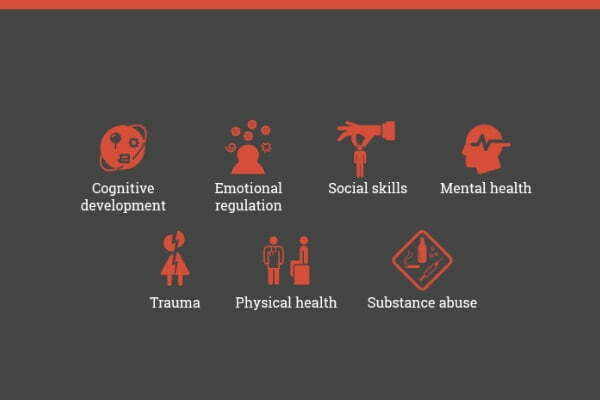 There’s a strong connection between childhood experiences and a person’s current state of health. Understanding how and why you feel the way you do is extremely freeing for anyone with addict parents. Parents in recovery often experience a heavy amount of shame and guilt. These feelings come as a result of the pain addiction inflicted on their children and other loved ones. Many parents have said that learning to interact with their children in recovery is much different. Explaining further that it’s perhaps the most difficult part of the road. If you decide to work toward understanding a parent and improving the relationship, it’ll be beneficial to connect with healthy people outside of the family. Ultimately, rebuilding a relationship with your parent in recovery will take time. Repairing damage from addiction involves many changes. The recovery process requires that a person learn to accept and endure the pain and hardships of life. Another major part of the process is accepting the fact that addiction’s tornado will not be fixed overnight – this should resonate with both people in the relationship who were hurt by addiction. 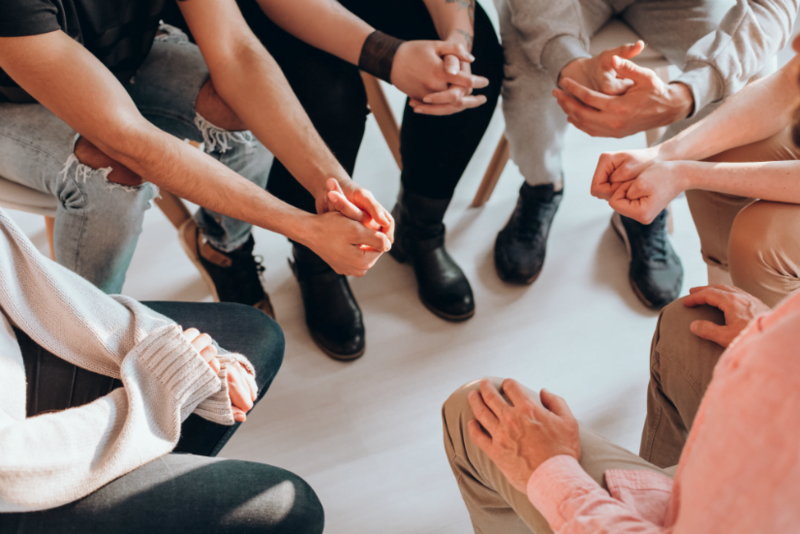 Using available resources such as individual, group and even family counseling can help uncomplicate the process of developing the trust and consideration needed for a relationships healing. I have an in-law that would be consider alcohol dependent. It’s terrible for my child because I feel I have to limit interactions, because I don’t want that kind of exposure to alcohol and I don’t want to enable. I think professional help is important not only for the addicted, but for the families to be able to cope and help effectively (or even know when it’s time to detach for their own safety). This was so important for me to read. Without going into my personal situation, I never realized how I never sought out any techniques to deal with denial when I was younger and I always just brushed it off, thinking it wasn’t my problem to worry about. As an adult, can I bring up issues of denial with my parents in a way that makes them realizing they are in denial? It’s really demoralizing and minds disturbing for kids to find themselves growing in an unstable home characterized by high emotional instability. Most kids may not even have the nerve to confront their parents neither are they able to call for timely intervention and not all are exposed to insightful knowledge like this. I really doubt how bright and shining the future of these young kids would be! Thanks for all these wonderful resources. They are really helpful to me. I wonder how you can know when is the right time to try to initiate an intervention? I feel like no matter what I try, my family just won’t accept that they have a problem even if I have all the resources on my side. Why are people addicted to alcohol? Am I addicted to Oxycodone?